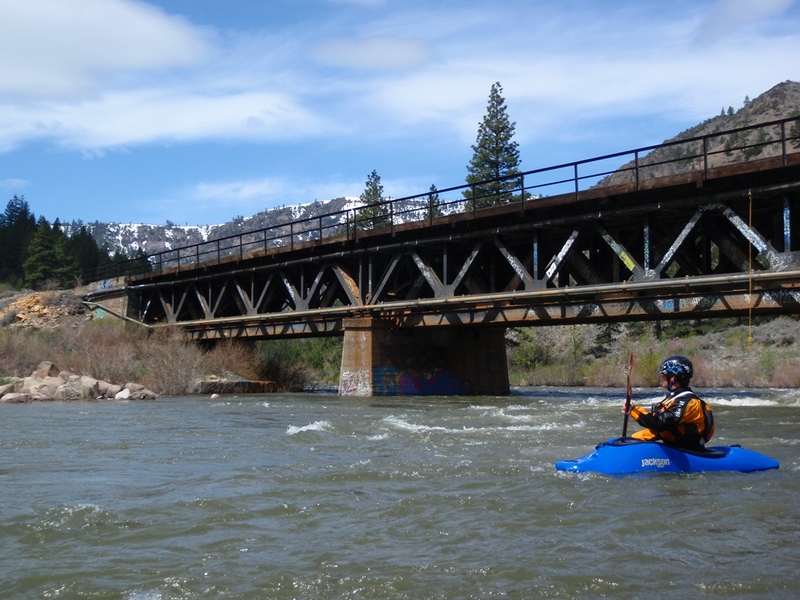 With only our playboats on the car for the 2011 Reno River Festival but still wanting to get on a new river, this section of the Truckee seemed like a logical choice. 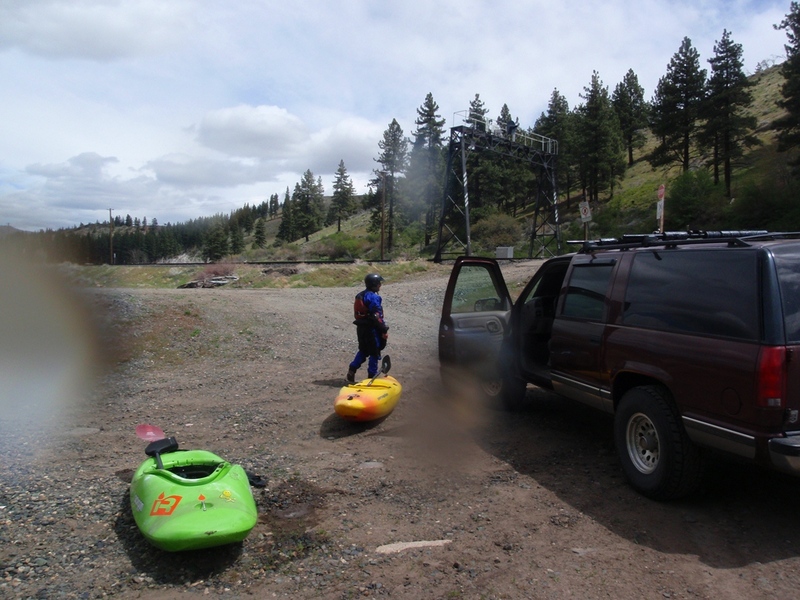 Only a few minutes outside of Reno and on the way home, it became our plan for our early Sunday departure from “The Biggest Little City.” Most year (in recent memory anyways) the Truckee River will not get above 2,000 cfs. 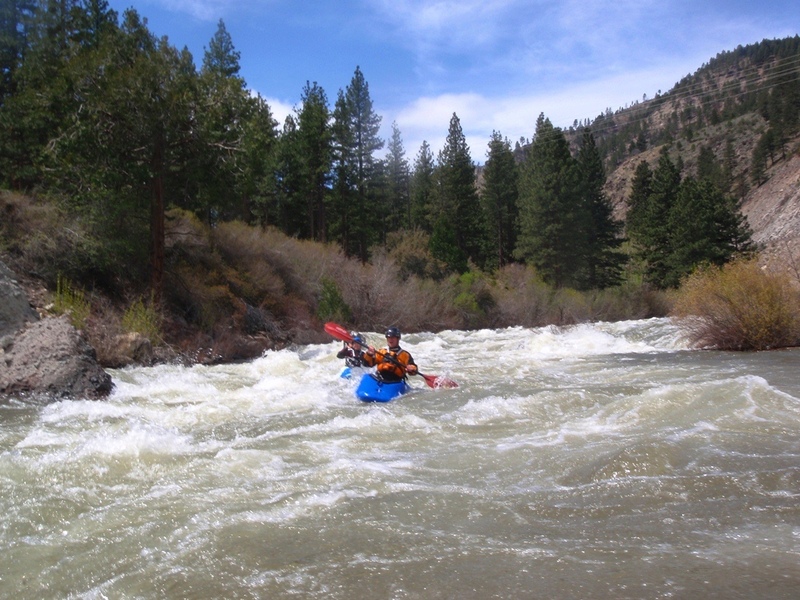 The past several Reno Festivals have been held with less than 1,000 cfs in the river bed. 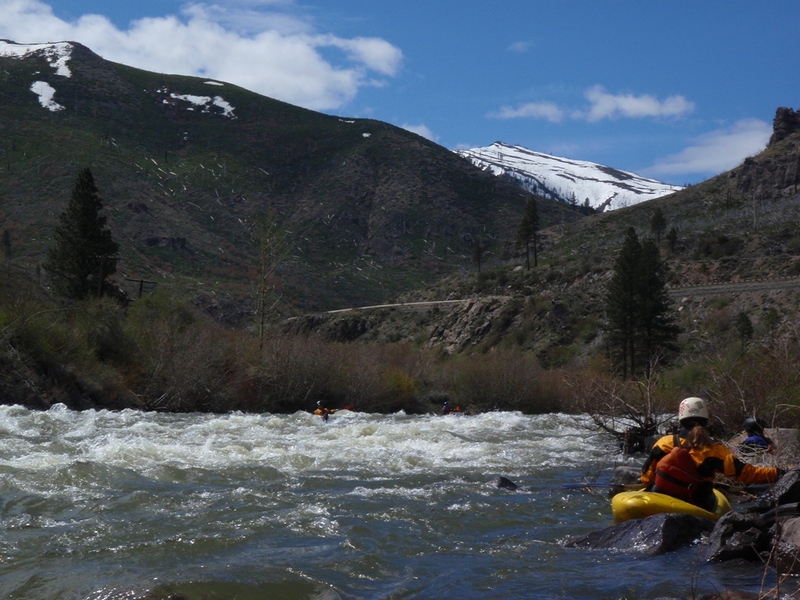 This year however, with a very large snow back spread across California, the river was voluptuous with 3,200 cfs rushing between its banks. We all thought that for class III-IV boaters with dependable rolls, this felt like an ideal flow. 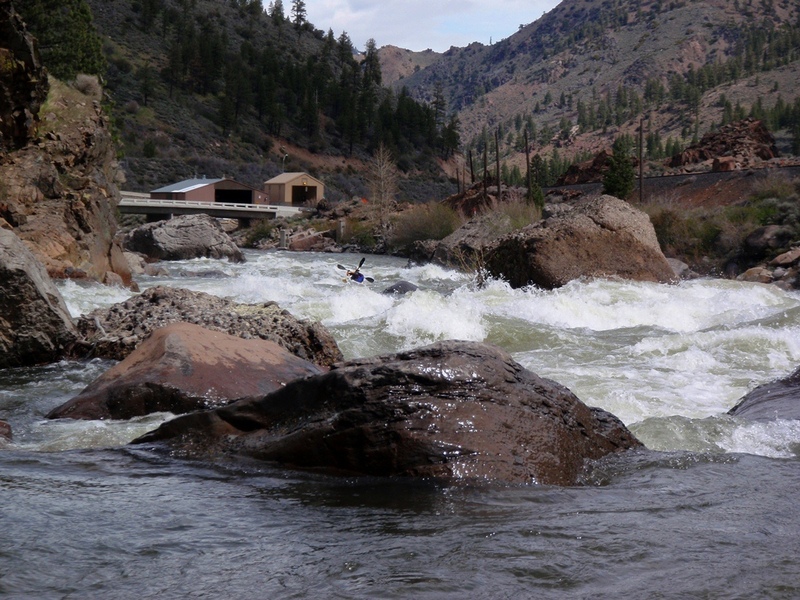 The good rapids had some fun big waves and a few holes to avoid, but few if any challanging moves to make. 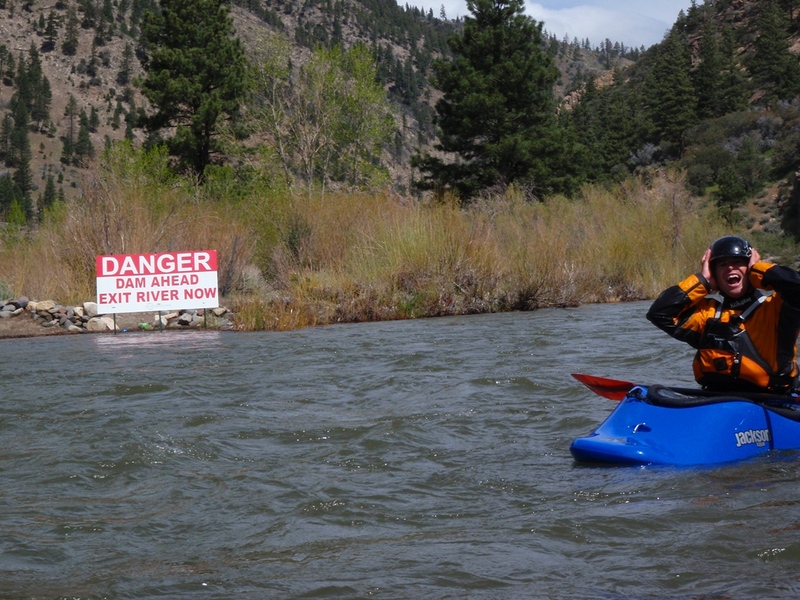 I think these rapids are likely fun even with less water. However, the mellow section in the middle I imagine becomes a drag as I invision lots of rock dodging and scrapping down shallow shoals. For those looking to spice up the run, you can hike up river from the put-in to run an additional set of rapids that are class III and IV in nature. 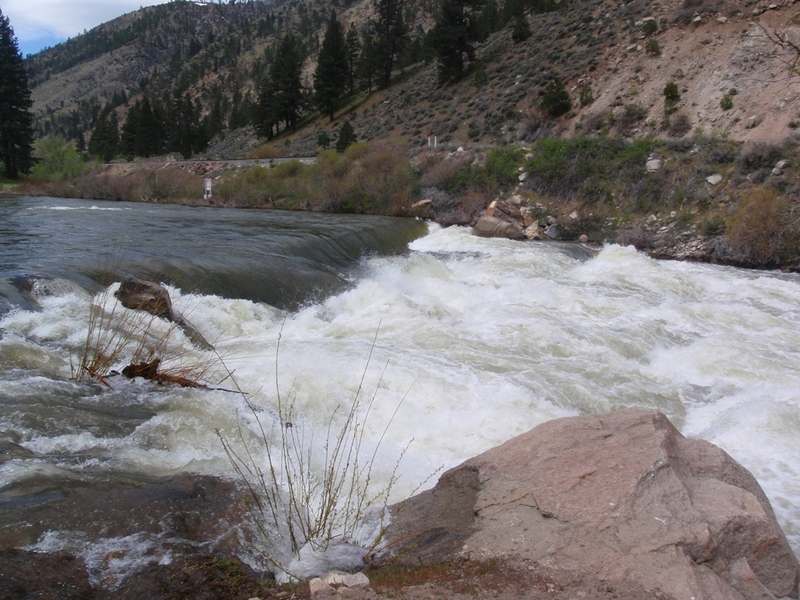 For those not wanting, putting in below these rapids removes the hardest rapids and leaves only 1 other class IVish rapid downstream along with the optional dams (only one of which is recommended). 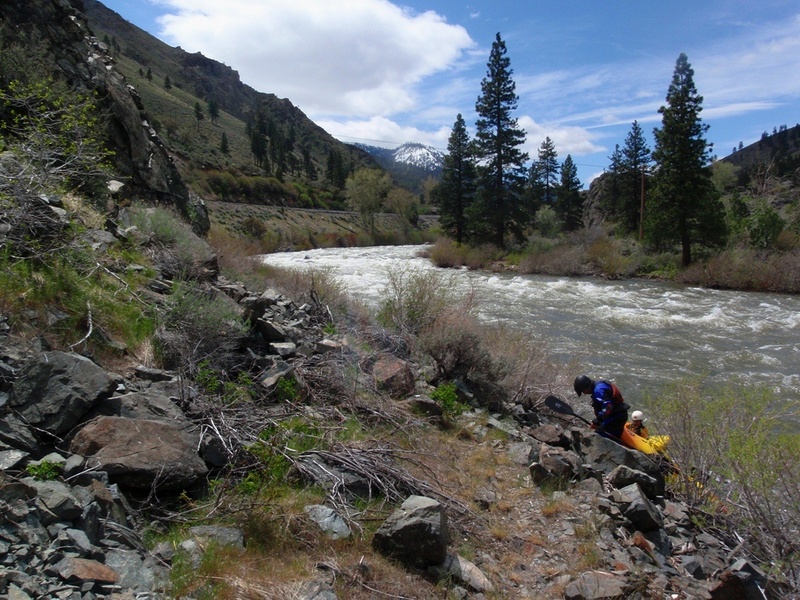 In typical east slope variety, the river between these harder sections is coninuous and offers few to no pools. That coupled with cold water (and very cold air our day) caused me to form an opinion that swimming on this river would not be fun. 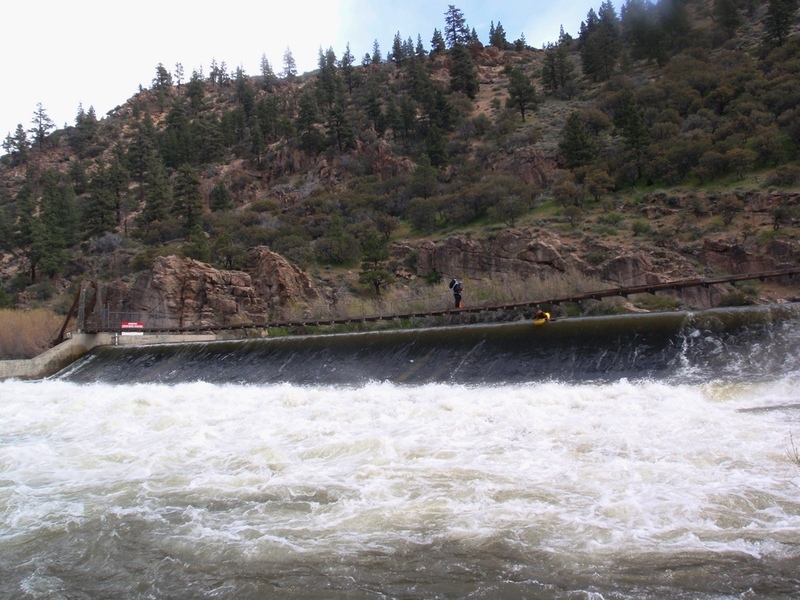 Plus, a few of the rapids are known to have rebar in them from the nearby Highway 80. 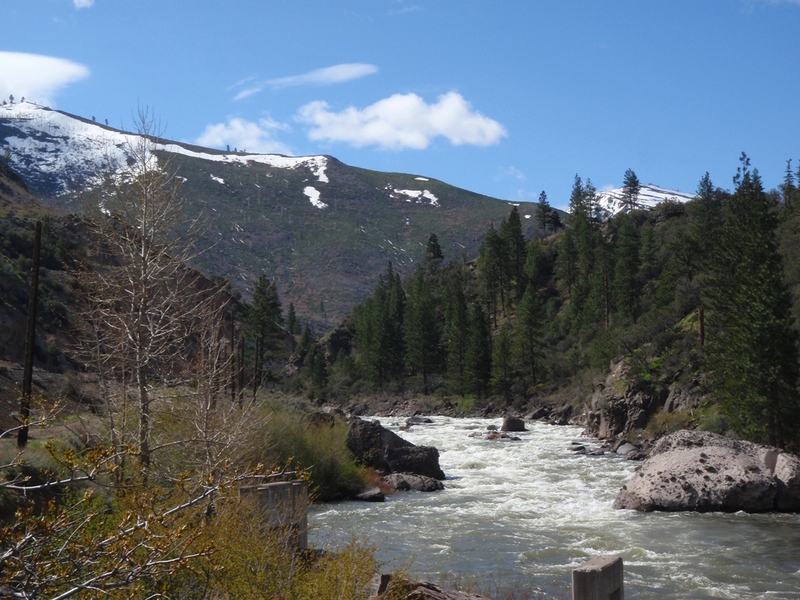 As a last point, it is interesting that despite Highway 80’s proximity throughout the run, the river managed to be quite scenic with towering jagged mountains rising hih above, all of which were snow capped when we were there. 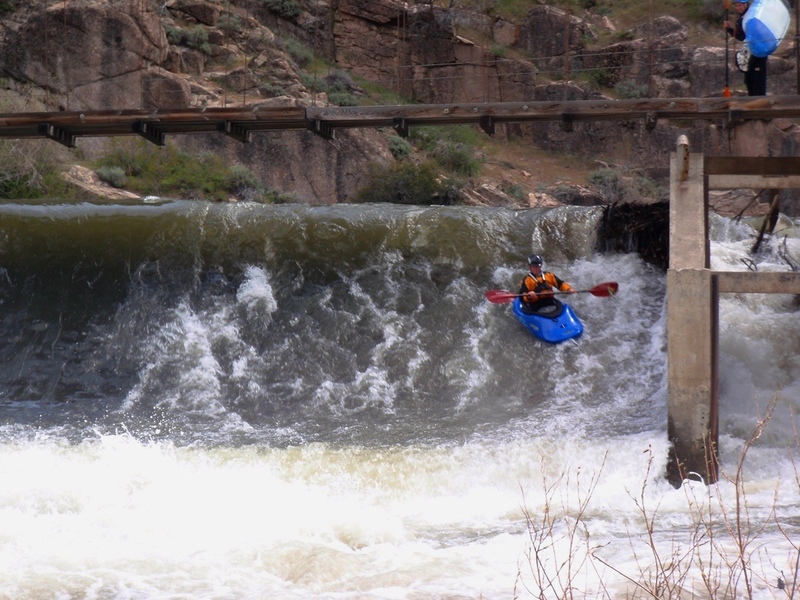 For a parting thought, I think at ~3,000 cfs, every class III-IV boater should try to get on this run. 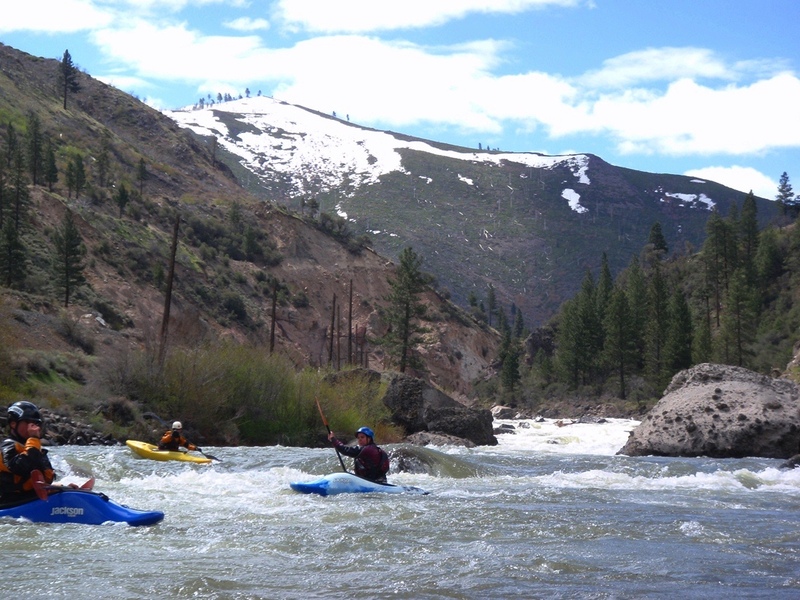 Not that it is worth driving from the Bay Area for, but if you are going to be near Truckee or Reno, it is certainly worth boating to mix it up some. Jaws (III to III+). While you are walking up to the put-in, take a look at this hole. At our flows you really didn’t want to venture into the hole. We snuck around it on the right. At lower flows you must drive left to right. At really low flows I think you can boof the hole. Bronco (IV). 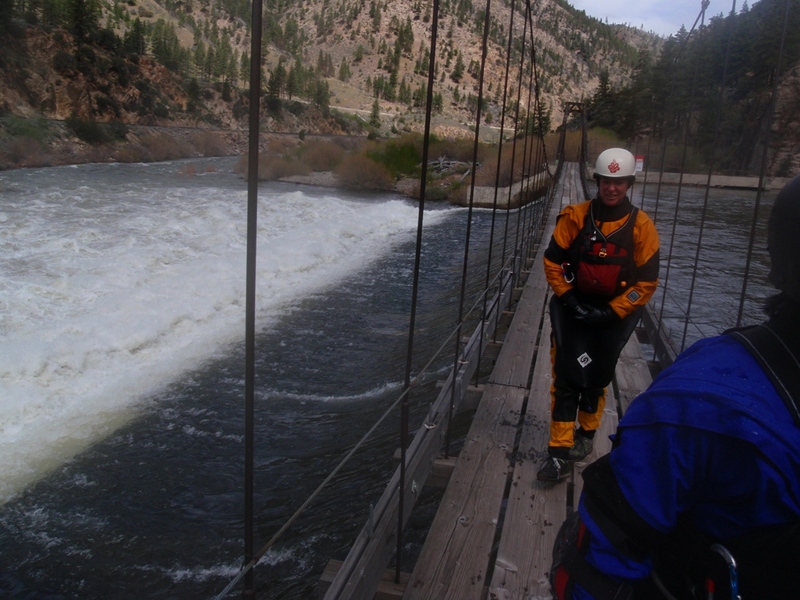 A long complicated rapid also best scouted while walking up the river. Once we were entering the rapid I was surprised by the size of the holes in the center. From the road they looked manageable even in my small playboat. Quickly I came to the conclusion I was glad I snuck the entrance down the left with the rest of the group. At the end, head right away from the pile of concrete on river left. This rapid is known to have rebar in its depths and I was told that a few years ago they pulled out several truck loads of rebar and concrete with acetylene torches. Under the Bridge (II+ to III-). 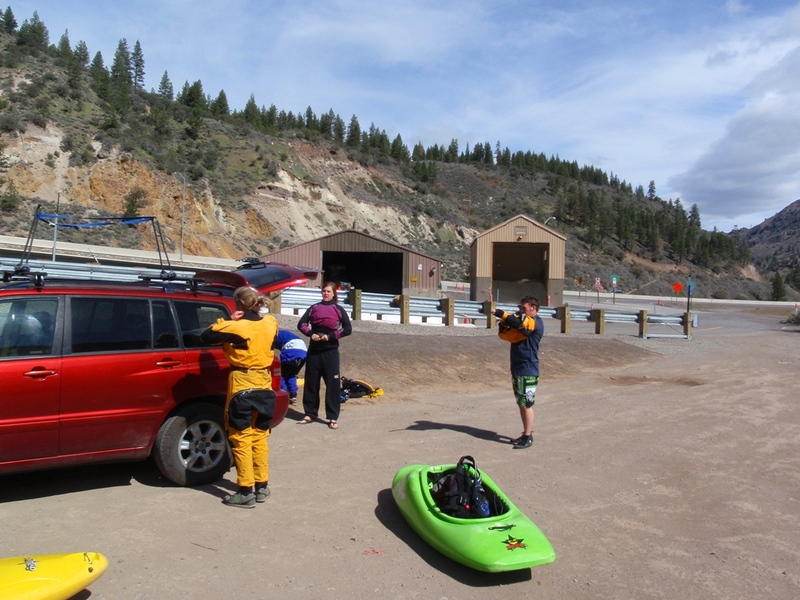 Just under the bridge downstream of where you park is a fun wave train rapid that leads to an old washed out diversion dam.. Diversion #0 (II+ to III-). This dam has long since collapsed (or maybe was destroyed, I don’t know). As there was once a concrete structure here, I would recommend staying above the water on this one. Lines were plentiful as the rapid was wide open. Low Bridge that could be problems really high. Diversion #1 (IV to U). I can imagine at some flows this dam is a no-go for everyone. At our flow it looked to be ok as long as you were straight. There was a funky recirculating eddy on the far left and as with all man made structures, there was an void behind the curtain of water along with who knows how much rebar or other items in there making any off line that much more dangerous. Take care, scout from the left when you see the “Danger Sign.” For those who run it, a sloping 10 slide into a few foot ledge awaits. Dead Man’s Curve (III+ to IV). 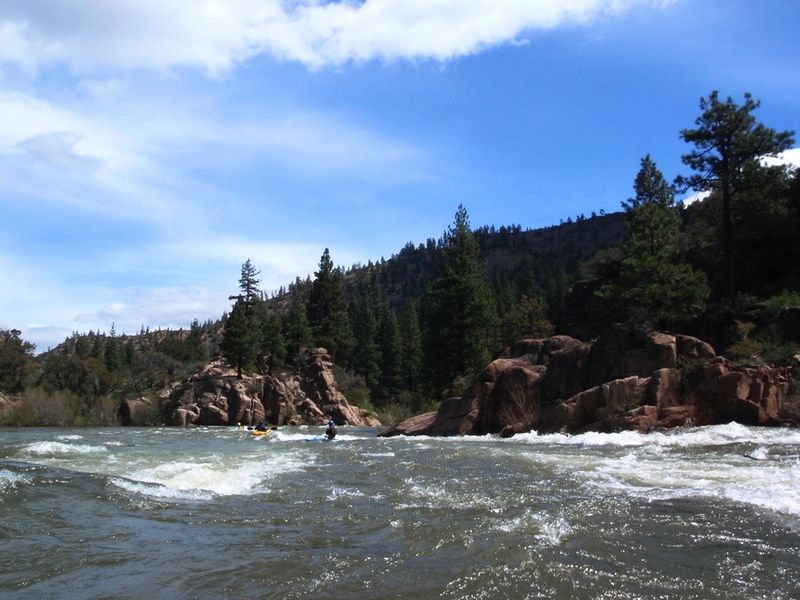 Just around the corner is a long rapid whose ending is the crux. Some swing wide right and drive away from the right wall and hole at the bottom, others try to stay inside on the turn. Either way, once you are clear of the wall/hole, brace yourself for some weird currents due to colliding channels and eddies. Powerhouse (III). A long section of class II to III leads to an old powerhouse on the right and a railroad overpass. 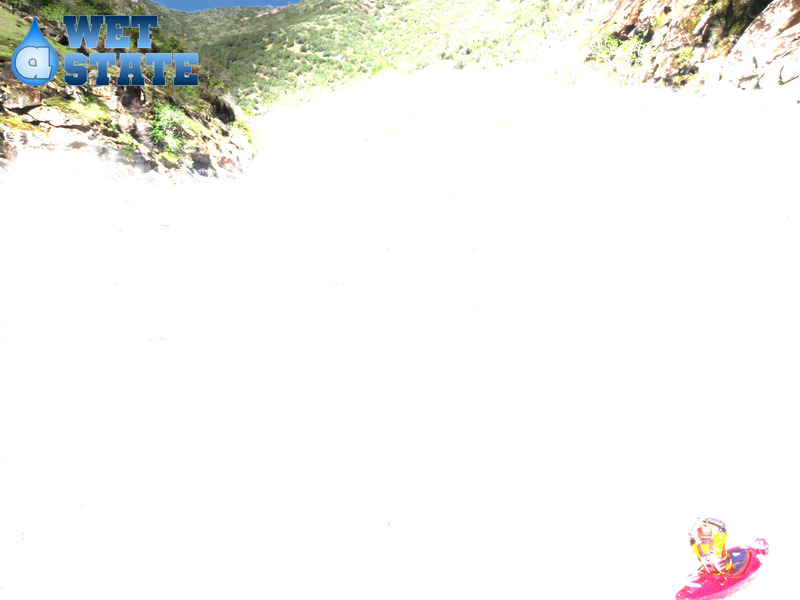 The rapid below is straightforward enough but fairly long with a few rocks and holes strewn in. An easy line existed on the far left once through the bridge portion of it. If you want you can continue down another half mile to where the river hits 3rd St. However, this also adds another Diversion Dam to portage. 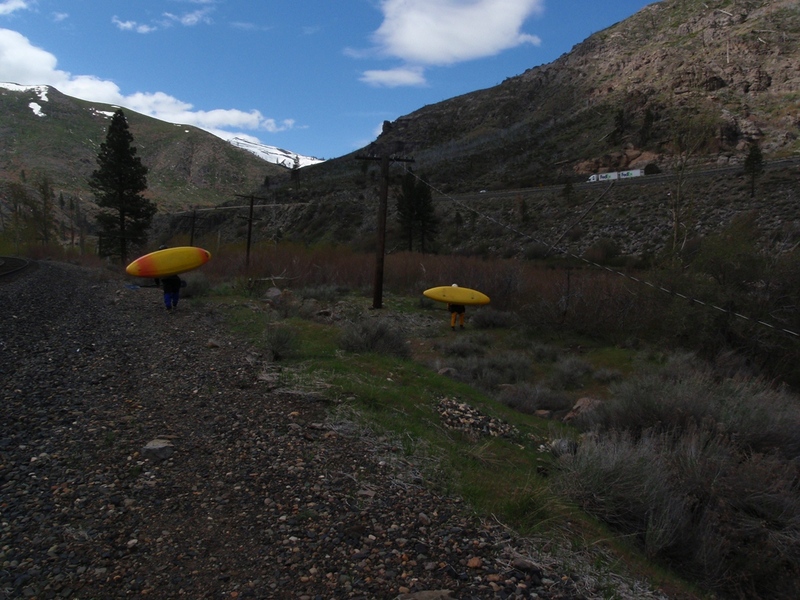 Take-out: 10 miles west of Reno on Highway 80, take the S. Verdi Rd exit (rd 136). Pass under the freeway and before you cross the diversion, turn left on Quilici Ranch Rd. Continue to where it crosses the train-tracks (~0.4 miles), park just before it does at the nice turnaround. Put-in: The hardest part is getting back to Highway 80. It seems like it should be easier. Return back down Quilici Ranch Rd. Turn left on Crystal Park Rd, continue through residential for 0.5 miles. At the T, turn left on 3rd street and continue for 1.5 miles to the on ramp. Head West on Highway 80 for 8.1 miles. Take the Floriston Way exit, cross under the freeway and park just on the other side of the river. We walked up the traintracks for 15 minutes to put-in above Bronco.